As Clinical Project Manager for ICCC, Kathy Kunath leads disease management demonstrations, and is involved in community health improvement projects and prevention programs utilizing health risk assessments (HRAs). She currently serves as project coordinator for the Clinical Health Coach® training program and “Keep It in Check,” the Iowa Medicaid Diabetes Tel-Assurance Program. She also serves on the Care Continuum Alliance (formerly DMAA) Medicaid Guidelines Work Group. Kathy was instrumental in the development of the Physician Office Health Coach™ training program, which was the predecessor to the Clinical Health Coach® training program and conducted in partnership with Mercy Clinics, Inc., from 2008-2010. 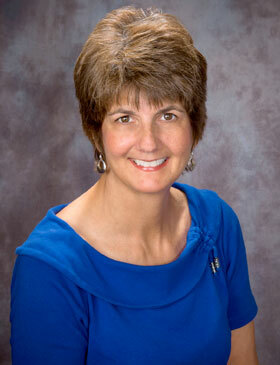 Kathy has 24 years of experience in the field of cardiovascular healthcare, cardiac rehabilitation and health promotion. In 1999, she was chosen by the American Hospital Association’s Health Forum as one of 30 participants across the U.S. to participate in a Cardiovascular Health Leadership Fellowship. In 2003, she was commissioned by the Iowa Department of Public Health to lead a team in writing the white paper, “Chronic Diseases: A Critical Issue for Iowa.” Kathy has also served in leadership roles for numerous state coalitions, including Tobacco Free Iowa, Iowa Cardiovascular Risk Reduction Coalition and Iowa Association for Cardiac and Pulmonary Rehab.